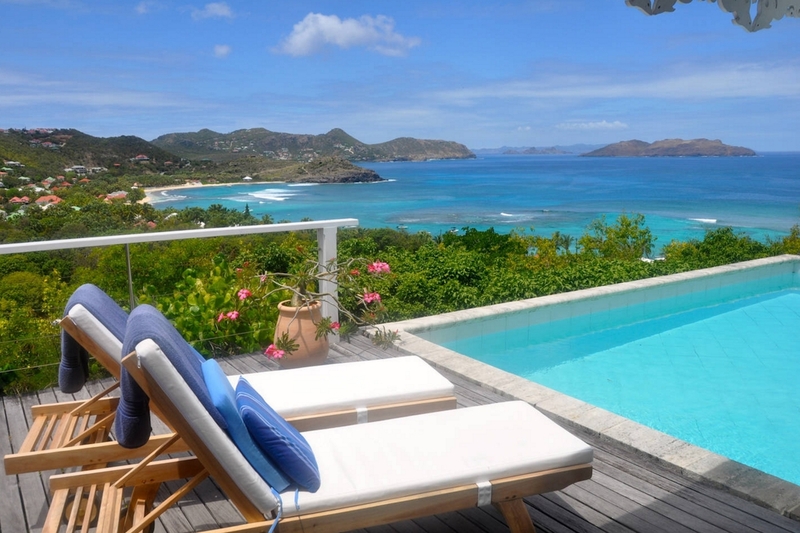 Lorient Sunset is a bright and open villa that is located hillside in the Lorient area of St. Barts. With ample privacy, the villa is ideal for couples looking for some R & R with plenty of peace and quiet. There’s a private pool that overlooks the ocean, so while you’re sunning on the deck, you can enjoy a great view of the water and surrounding island. A full kitchen allows you to prepare your own meals if you wish, or you can choose to dine at one of the restaurants that are located just 5 minutes away. The sunsets, the views and location. Lorient Sunset is a 2-bedroom villa located in Lorient within minutes of 2 beaches and shopping. This villa has spectacular ocean views. A terrace with loungers surrounds the large pool, which is an ideal spot for sunbathing or reading poolside. This villa has the ideal situation to observe regattas during the “Bucket” and the “Voile de Saint Barth” weeks. 2 Minutes by car from Lorient beach.